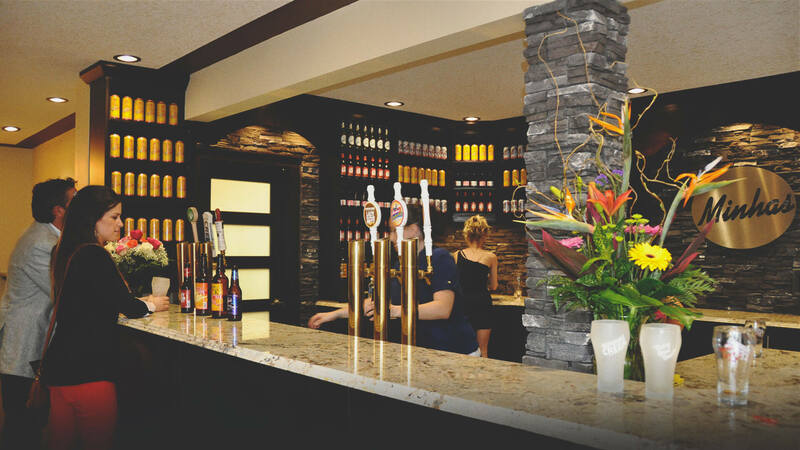 The Minhas Micro Brewery in northeast Calgary (1314 44 Ave. NE ) is located only 9 minutes from the Calgary International Airport, 13 minutes from downtown. The Minhas Micro Brewery invites beer lovers to see behind-the-scenes of a brew house where we make small batch ultra-premium craft beer such as the soon-to-be-legendary Imperial Jack Double IPA, Lazy Mutt Alberta Brown Ale, Lazy Mutt Alberta Wheat Ale, Lazy Mutt Alberta Red Ale, Sunshine Lager, Dutch Nation Lager and the groundbreaking Lazy Mutt Gluten Free Lager. Beer lovers can tour the brewhouse, get their certificate in Beerology and grab a bite to eat at Pizza Brew where we serve award-winning pizza and fresh appetizers (some with a beery taste) alongside a selection of 60-plus different ales and lagers. Check out the Minhas Micro Brewery for good beer, fresh pizza and a heckuva good time. Pizza Brew open Tuesday thru Saturday 11 am - 7 pm (closed Sunday and Monday). Brewery Tours ($10 - included gift pack) Tuesday through Saturday (closed Sunday and Monday) at 12:30 a.m., 3:30 p.m. and 7 p.m. No reservation necessary. 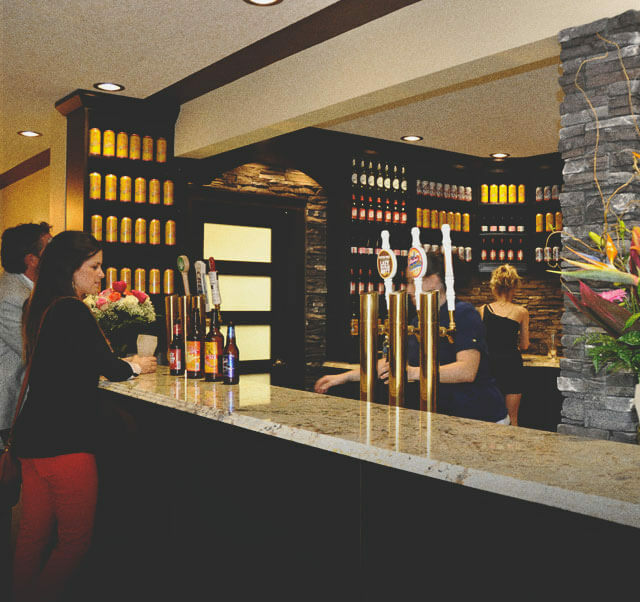 The Minhas Micro Brewery in northeast Calgary is located only nine minutes from the Calgary International Airport, 13 minutes from downtown. The Minhas Micro Brewery are proud producers who invite beer lovers to try our in-house products and see the behind-the-scenes of a brewhouse where we make small batch ultra-premium craft beer such as the groundbreaking Lazy Mutt Gluten Free Lager. Just a few minutes away from the airport, the brewery is attached to the award-winning pizza restaurant, Pizza Brew. Grab a slice and eat fresh appetizers alongside our selection of 60-plus different ales and lagers. No need to make a reservation for a brewery tour. Just arrive for one of three start times Tuesday through Saturday.